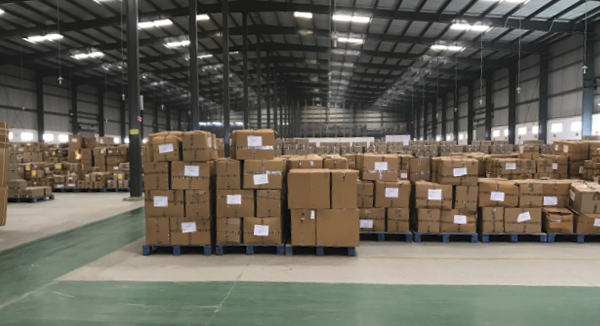 As part of its digital supply chain transformation, Amway implemented 50 strategic warehouse locations across the globe with JDA Software. And, in four months alone, 28 warehouse sites in India went live in record speed. To stay competitive in the e-commerce game, direct seller Amway India spruces up warehouse efficiency and accuracy by deploying WMS solutions. In 1959, Richard DeVos and Jay Van Andel launched Amway with a single product—a biodegradable and concentrated multi-purpose cleaner. From that modest start, Amway now offers about 500 nutrition, beauty, home, and energy and sports products in 100 countries. Its products are available through independent distributors known as Amway business owners, or ABOs. Amway ranks among the world's largest direct-selling companies. While Amway has always sold directly to consumers, like many other businesses it has been challenged by the rise of Amazon and other e-commerce marketers. In the late 1990s, "the world started to digitize," says Marc Van Pruijssen, director, global shop/retail replenishment program with Amway. At the time, Amway was still processing many orders by phone. What's more, a patchwork of standalone, homegrown systems drove Amway's supply chain. "We had little transparency," Van Pruijssen says, adding that the systems in place at the time wouldn't sustain the company through a changing competitive landscape. Shipping orders the same day they're entered into the system. Eliminating the need to manually check each package before it ships.